Some people take alcohol and drugs in conjunction, for example, cocaine and alcohol. Others mix alcoholic drinks with prescription stimulant medications, such as methylphenidate. The use of Ritalin and alcohol together is usually to reduce some of the unwanted side effects of the stimulant such as shakiness while continuing to experience euphoria and high energy levels. Less commonly, stimulants are taken to overcome the inertia and lethargy associated with heavy ethanol consumption. Just like mixing alcohol and weed is a bad idea, mixing medications like pseudoephedrine and alcohol can prove dangerous. 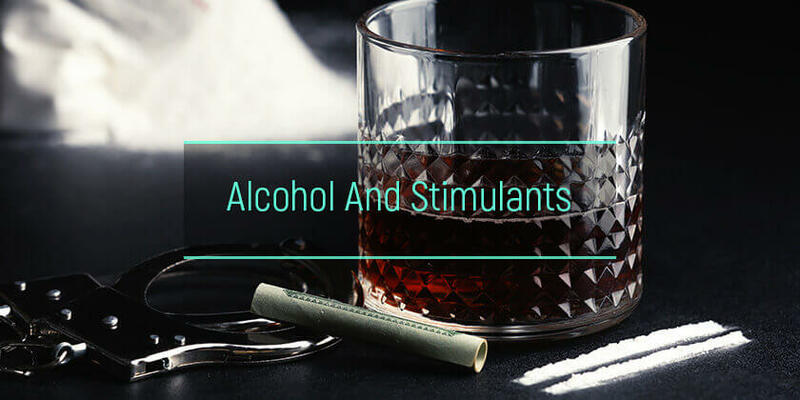 Let’s find out more about the potential interactions between ethanol and stimulants, the scale of the problem, and treating addiction to these substances. What are the health effects of stimulants and alcohol? How does alcohol interact with amphetamines? How does alcohol interact with cocaine? How does alcohol interact with methamphetamine? How does alcohol interact with MDMA ( ecstasy)? What is the statistics on concurrent use of stimulant drugs and ethanol? Is addiction to alcohol and stimulants treatable? What Happens When You Mix Alcohol and Stimulants? Some stimulants are illegal drugs while others are prescription medications. Alcohol, on the other hand, is easily available legally. Stimulants accelerate the firing of neurons in the human brain and spinal cord. People abuse them to experience intense happiness, improved attention, increased energy, enhanced sexual performance, and suppressed appetite. In contrast, alcohol depresses the functioning of the central nervous system. People drink alcohol to reduce anxiety and stress and unwind after a long day. The abuse of Ritalin and alcohol together is usually to blunt the undesirable effects of the stimulant, such as jitteriness and hyperactivity. Some people use them together to experience prolonged euphoria without realizing the dangers of this combination. There is a common perception that taking a prescription drug with ethanol is less hazardous than using alcohol and cocaine. What happens if someone takes prescription stimulants and drinks at the same time, for example, Vyvanse and alcohol? Is the result similar to Vicodin and alcohol? Ethanol dampens the effects of stimulants so that more of the drug is required to achieve the same euphoria or concentration. This can lead a person to overdose on the prescription stimulants or illegal drugs like cocaine. The converse is also true, i.e., stimulants reduce the effects of alcohol. This means if someone mixes MDMA and alcohol, they may not feel the intoxicating effects of ethanol and may drink excessively. Just like mixing shrooms and alcohol, the results can be unpredictable and dangerous. What Does Research on Ethanol and Stimulants Show? According to combined substance abuse data from SAMHSA, out of the 176 million people who reported consuming alcohol in 2015, approximately 5 million also admitted to abusing prescription stimulants. A study found that people who drink alcoholic drinks daily are five times more likely to use methamphetamine compared to non-drinkers. Research has shown that alcohol use disorder is 75 percent higher among amphetamine-dependent patients. A study conducted by behavioral scientists at the University of Kentucky found that moderate drinkers are more likely to abuse stimulants like ephedrine and alcohol and are more vulnerable to the effects of amphetamines. While most people are aware that mixing sleeping pills like Ambien and alcohol is not a good idea, not many people know that the combination of ethanol and stimulants can have serious health consequences. Treatment for dual addiction to amphetamine and alcohol requires a systematic and holistic approach. 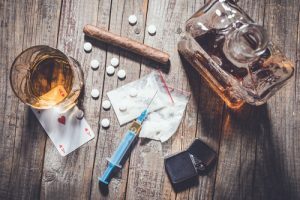 Dependence on more than one substance can only be overcome with targeted treatment that addresses not only the physical symptoms of withdrawal but also the underlying psychological causes that lead to substance abuse. This is why inpatient care at a specialized addiction treatment facility often produces the best results. MDMA alcohol addiction treatment programs typically consist of detoxification with physician-guided management of withdrawal symptoms. Medications may be prescribed to reduce cravings and make the weaning process safer and more comfortable. Behavioral therapy and group interventions are used to address the root cause of the addiction. Finally, aftercare programs are essential for long-term recovery and relapse prevention. Successfully overcoming addiction to stimulants and alcohol is not easy, but it is not impossible either. With peer support, commitment, and will power, cocaine and alcohol addiction can be a thing of the past.